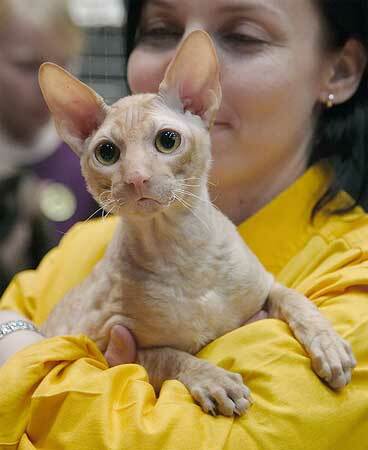 Our cats are first pets and family members, breeding and show careers come after that. 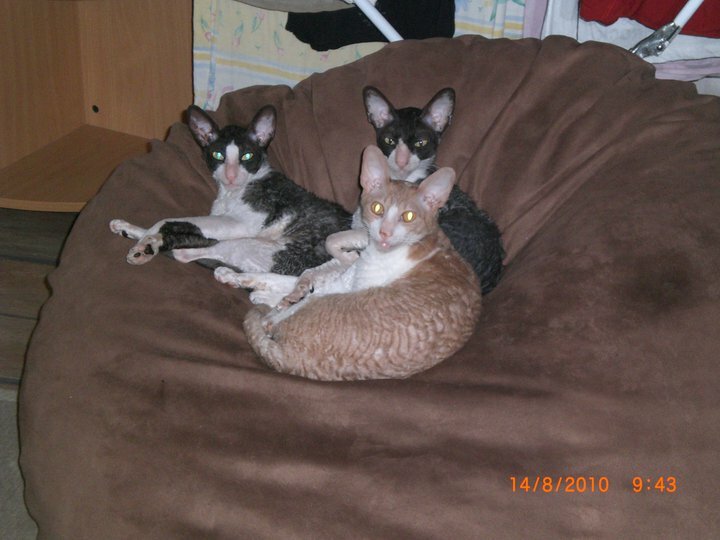 Some of our breeding cats are homed with other people with a special agreement. 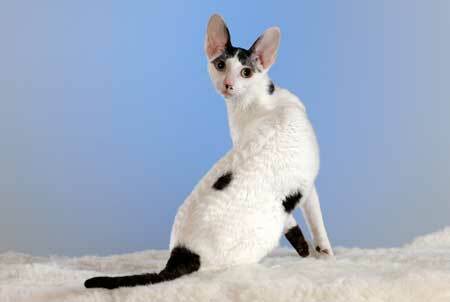 All our cats live as freely as possible, the studs of course have to be separated from the females. 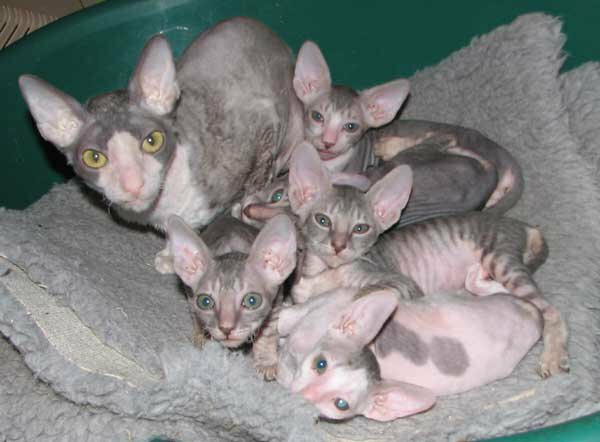 All our breeding cats are healthy, FeLV and FIV negative, ringworm negative and they haven't got any known hereditary diseases or disorders. Most cats are also heart ulrasound tested. Those are marked with in the list below. Since summer 2008 the heart ultrasound results are also added to Pawpeds. Unfortunatly older result cannot be listed there retrospectively. 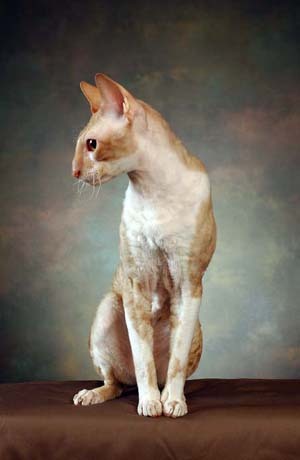 Our cats have nice temperaments and we try to breed cornish rexes that are real lap cats and easy to handle in every situation, also in cat shows. All this without loosing their natural liveliness, sosiality and curiosity. 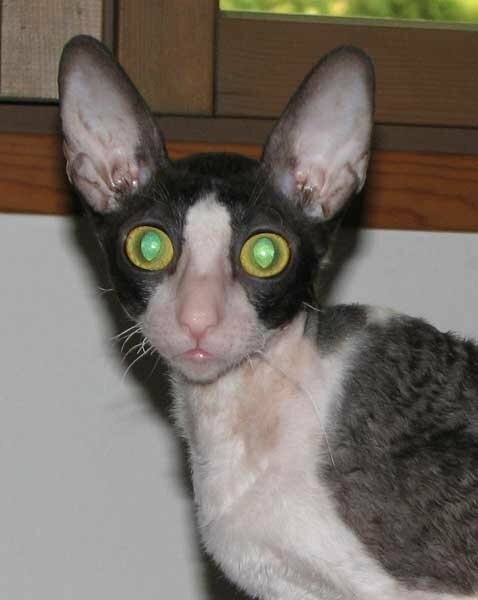 The cats used in breeding are good examples of the FIFe type cornish rex and we would like them to be are at least Champions. 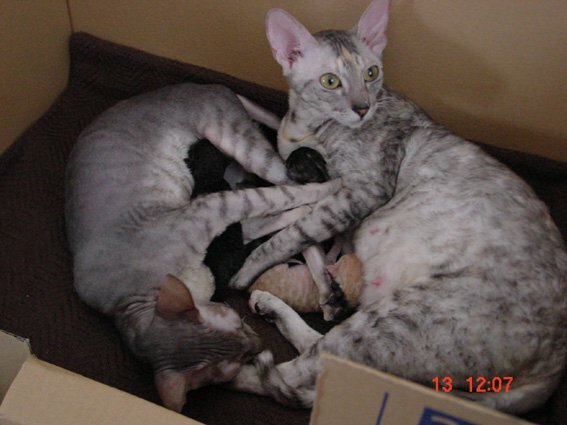 Some times this just is not possible with males, if the owner is not willing to live with a spraying stud... Our breeding cats are from several different countries and by combining different bloodlines and avoiding in-breeding we are trying to get healthy cornish rexes to live up their new owners lifes as long as possible. Our kittens are ready to leave home at the age of at least12 weeks, when they are registered in FIFe, vaccinated twice, microchipped and checked by a vet. They are raised lovingly underfoot with our family. 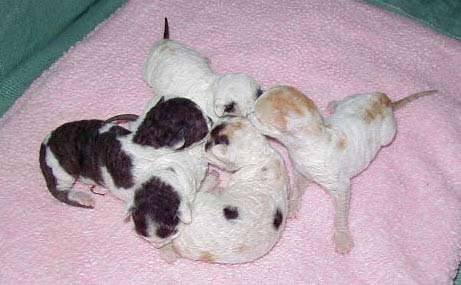 Kittens are used to children, dogs and offcourse other cats. 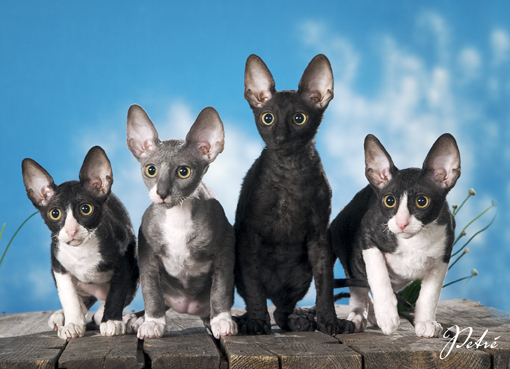 These cats have been in our breeding program during the years. Most of them are neuters now. 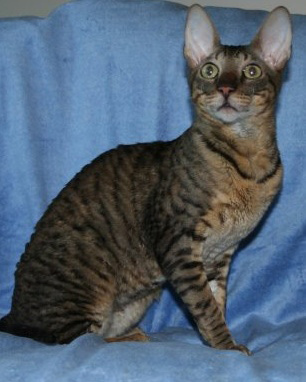 N*Enchanting's Mr Mephisto aka Reiska. Photo Jan Nyström.